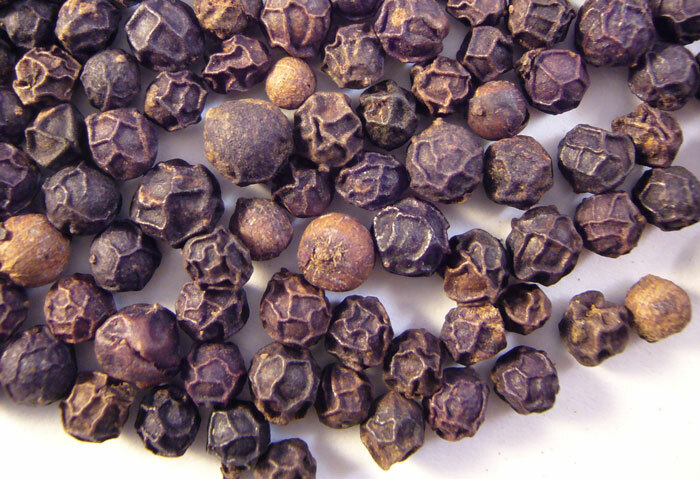 You are currently browsing the archive for the peppercorns category. 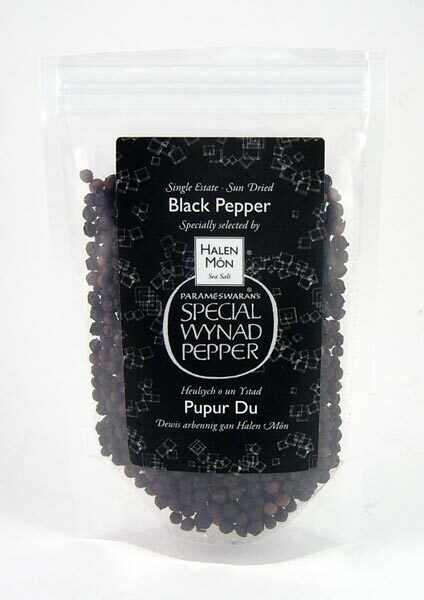 Salsamentum recommended this peppercorn when I bought more of my favorite Portuguese fleur de sel. 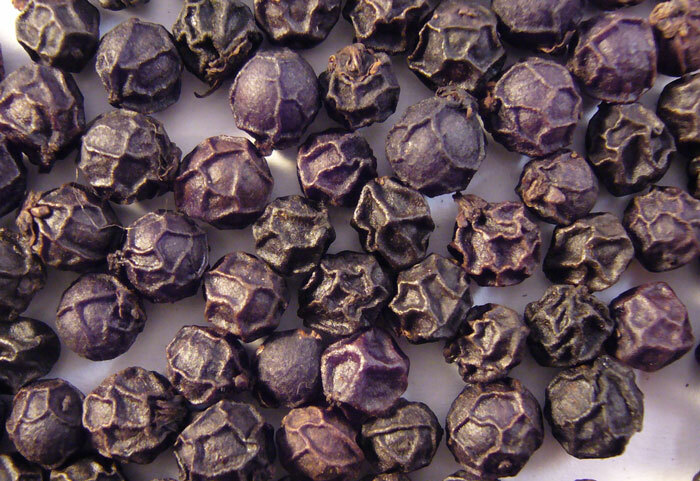 These are single-estate peppercorns, which I’ve never seen before. 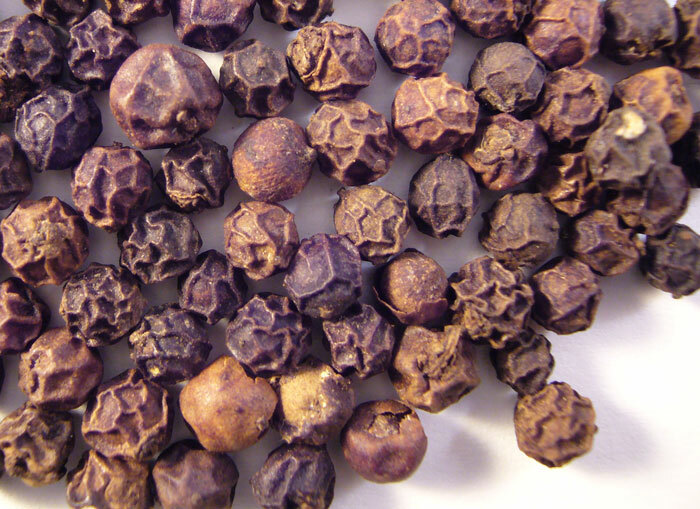 According to the marketing team from The Indexer, they’re grown organically by Parameswaran on his small estate on the Wynad plateau in India. 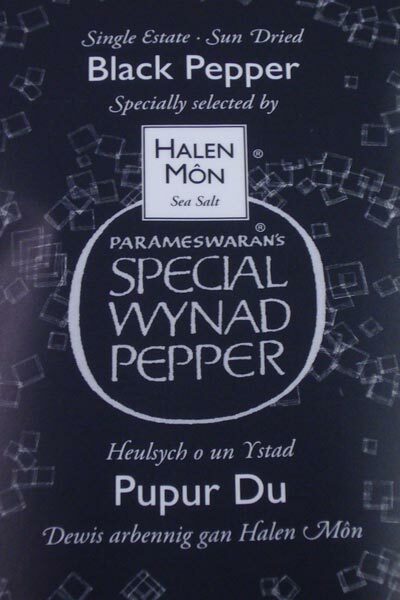 The bag I bought was labeled by Halen Môn, a British sea salt company, but it isn’t currently available at the Halen Môn website. 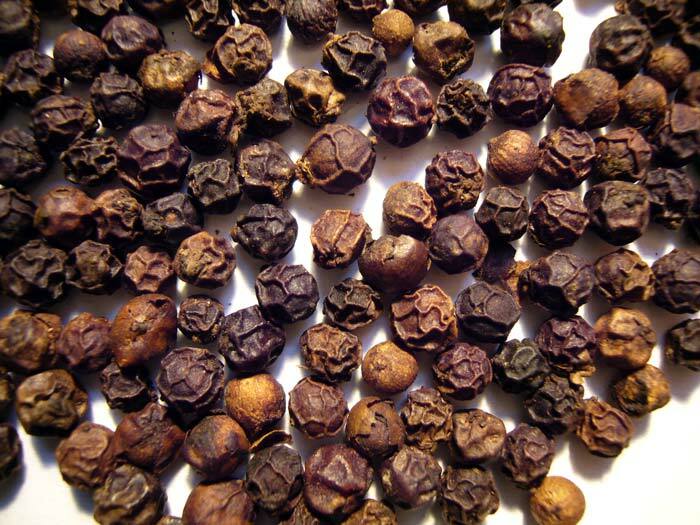 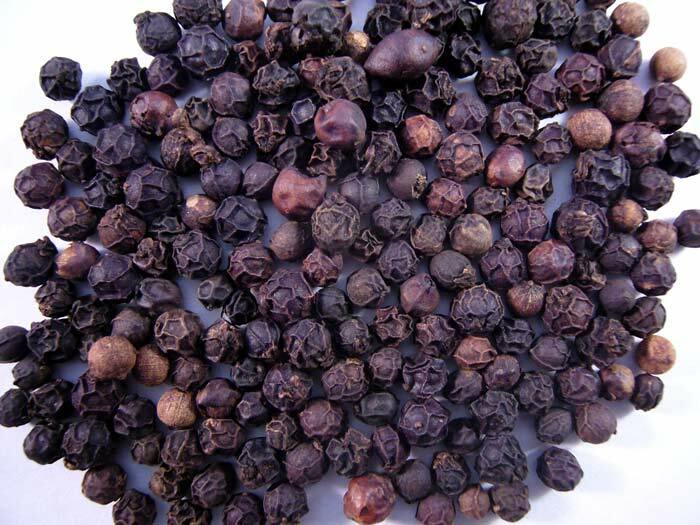 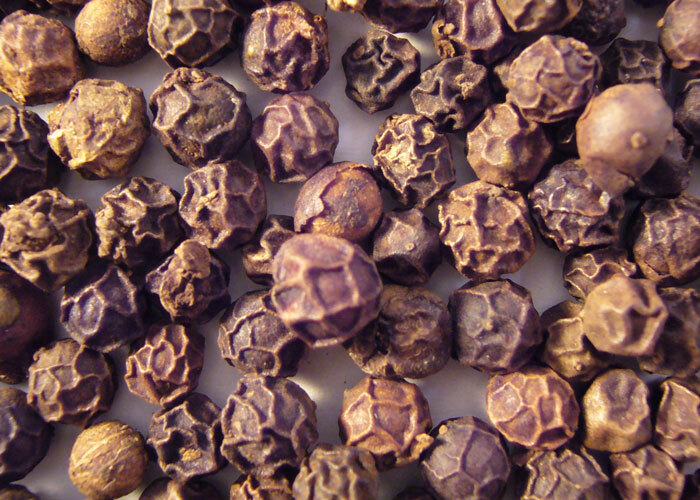 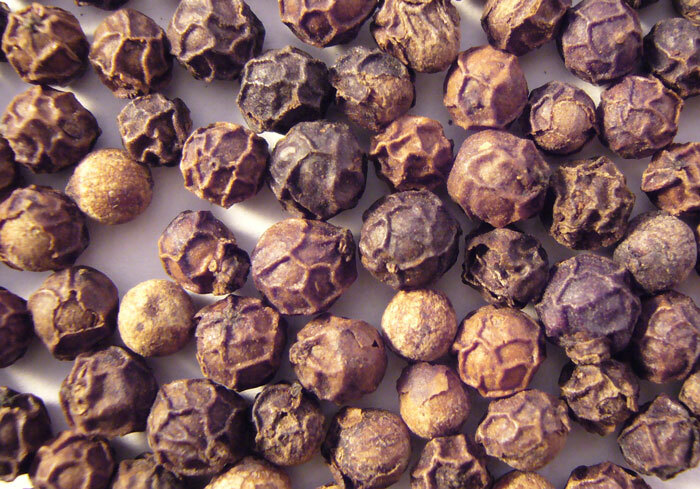 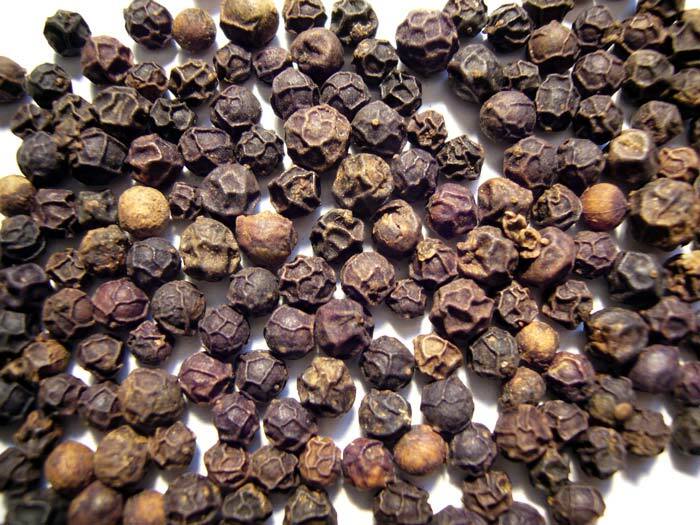 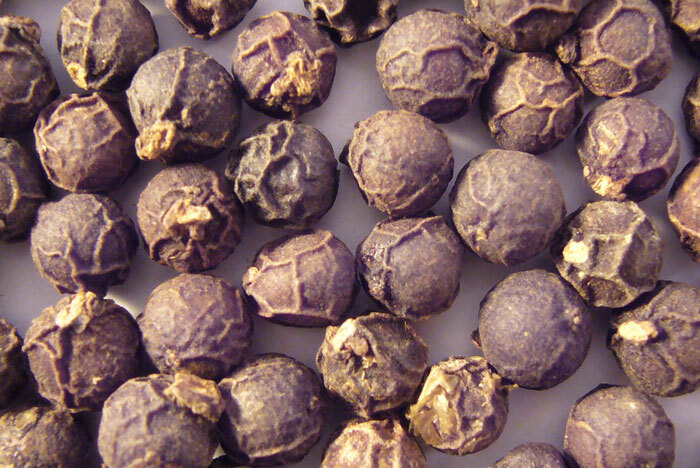 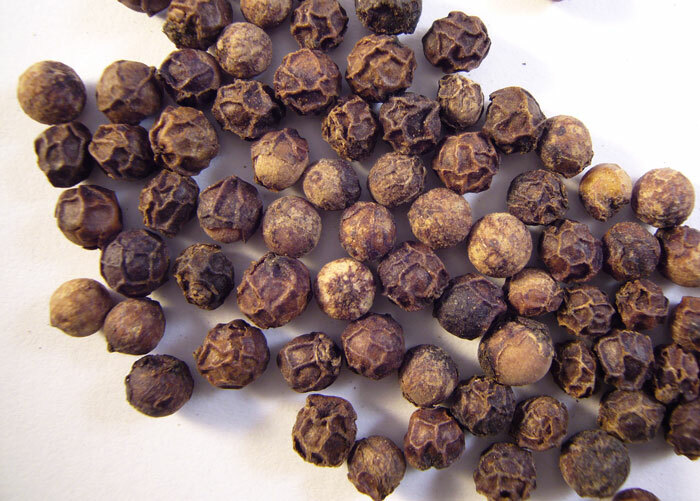 This Indian peppercorn is extremely aromatic, with a lingering, slow-burning heat. 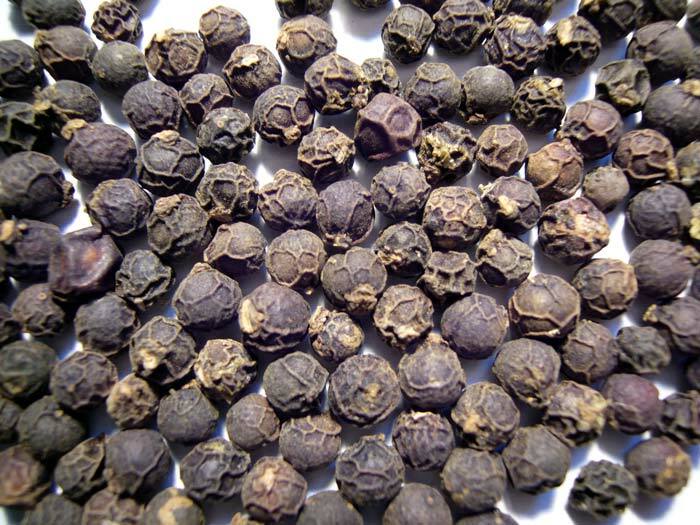 It has an herby scent, a rich texture, and isn’t overly bitter. 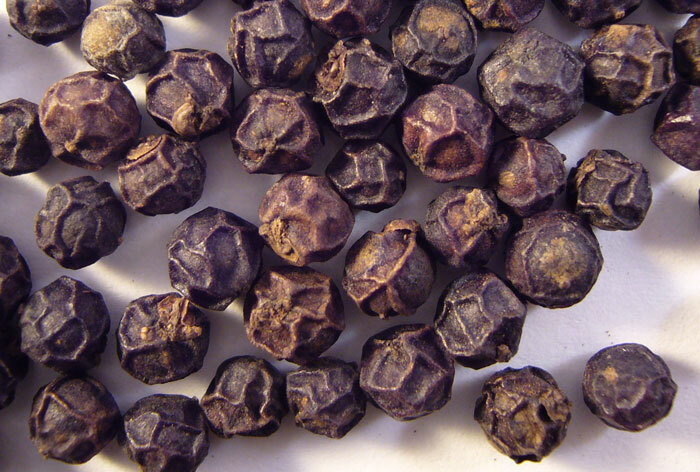 The heat is relatively gentle, but it has a strong Tellicherry-like flavor that really stands out. 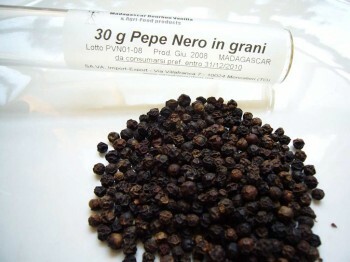 I don’t normally buy such expensive peppercorns because a bag his size is only about a week’s supply, but it was definitely worth trying once. 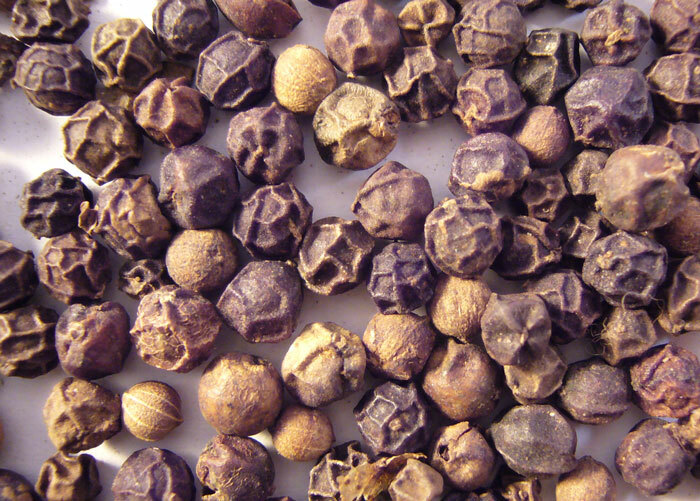 For me, this peppercorn is just too expensive for everyday use.